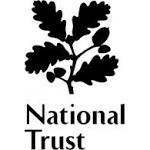 Cemco have recently been awarded the Maintenance Contract for the National Trust South Somerset Sites. After a review of the individual sites and a list of catering equipment was noted Cemco provided a costing for day to day works plus an Annual Service for all equipment. We look forward to providing an first class service within the guidelines of the Contractual Agreement.